The native iPod app does not allow you to do this which means you either have to wait until the song finishes each time to make the change or you have to disrupt your current song. Perfect for parties, road trips or just being out and about with your music. 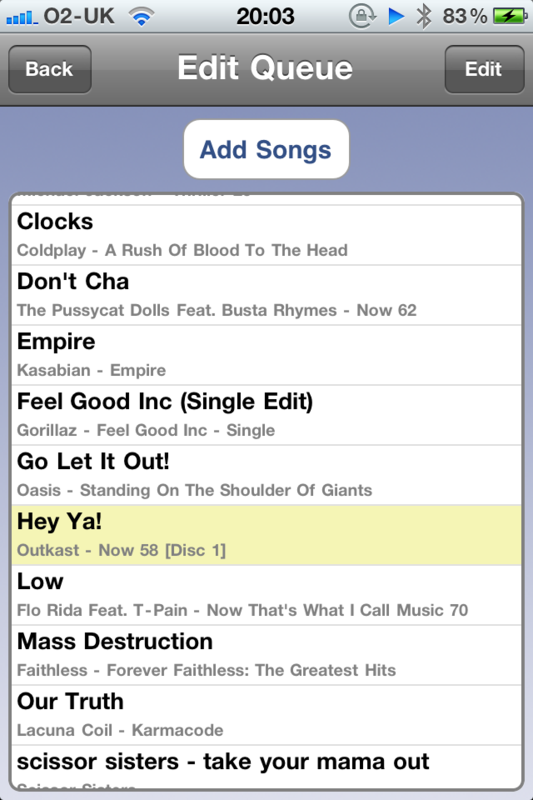 Queue the Music lets you edit your music queue by adding songs, albums, or entire artists on the go, making insertions and deletions to your queue at any time you want. Move to a different part of your queue by simply tapping on the song title. It really is very simple and all this functionality is provided in this free app.